Full of good stuff—75 active components to be exact. The naturally-occurring vitamins, minerals and amino acids in the plant are necessary for good health. With so many so-called superfoods out there, the meaning of the word can become diluted. However, it’s safe to say Aloe Vera is one of the original superfoods. Aloe Vera may be most well-known for its moisturizing properties. It can be found in plenty of skin and hair products, but it can also be used straight from the plant. Before Aloe Vera gel and juice can hit store shelves, it has to be properly harvested and undergo a highly-sanitized production process. Aloe farms can be found throughout the world. Africa, Australia, Asia, Central America, South America and the Caribbean are all popular locations for growing aloe for commercial use. Perhaps because aloe has been recognized as big business by many, farms in other countries are cropping up. To grow strong aloe plants, farms need good irrigation systems, fertilization and the proper climate. Since aloe is resistant to insects and disease, there’s no need for pesticides. Did you know? There are no aloe vera seeds, only pups. To grow a new aloe plant, simply cut offshoots of a mature plant (roots and all) and replant. While cutting and gathering aloe leaves may seem like a simple task, there’s a science behind it. If cut improperly, aloe loses its potency quickly and becomes susceptible to contamination. Farm employees harvest the largest (and most mature) leaves which are found at the bottom of the plant. Some aloe plants yield three leaves at a time, while others can produce six to nine leaves at harvest time. The leaf is pulled away from the stalk and cut at the white base of the plant. Doing this prevents the inner part of the leaf from being exposed to outside elements. Cutting at the base keeps leaves sealed. Upon harvesting, the leaves are gathered and delivered to a highly-regulated and sanitized processing facility. Did you know? Aloe leaves can be harvested three to five times a year. Processing must be done carefully to prevent the outer rind from being punctured which can cause contamination. The first step in processing is washing the leaves using various machines. Post-wash, the processing steps differ depending on whether the whole leaf or inner leaf will be used. If only gel is being used, the inner contents need to be separated from the rind and latex. The bottom of the leaf is cut and the yellow latex seeps out. The leaf is then rinsed to ensure no latex is present. The gel is then removed. 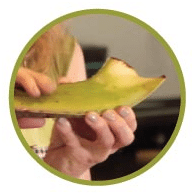 If the entire leaf is used, an extra step is taken to filter out the latex portion of the leaf. Did you know? 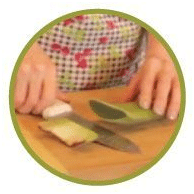 For the best quality aloe product, cutting and processing must be done within 48 hours. Aloe goes through a pasteurization process to ensure the product is safe. Manufacturers heat the aloe at a high temperature for a short amount of time. Once these steps are completed, the aloe is concentrated. It’s hard to escape the cold-pressed juice trend and many aloe manufacturers use this method in their juice and gel production. While the practice usually means a heftier price tag, there’s good reason to buy cold-pressed. When juice is made the traditional way—fruits and vegetables are torn and shredded by blades—some heating occurs. This reduces the amount of nutrients in the juice, much like cooking can decrease the nutritional value of food. Exposure to air causes the same effect. Cold-pressing involves, well, pressing the juice out of vegetables and fruits, but no heat is present in this process. The result is a thicker product with more vitamins and minerals. 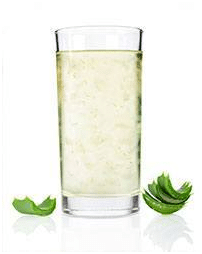 With Aloe Vera, the cold-pressing occurs after the inner leaf gel has been removed. It’s then pressed and ground. Unlike other many other plants, Aloe Vera is resistant to most pests due to its thick outer later. This means there’s rarely a need to spray pesticides on the plant. The International Aloe Science Council states that in just about all cases, Aloe Vera is grown organically. The organization discourages commercial growers from using pesticides, germicides and herbicides. Morrow points out that the use of these chemicals can irritate tissues. To be certified by the National Organic Program (USDA Organic), growers and handlers must provide a large portfolio of information including the history of the substances used on the land in the last three years. They’re required to show a plan detailing which practices are used in aloe production and how this plan is monitored. Growers and handlers must also demonstrate how they prevent organic aloe from coming into contact with non-organic materials. The USDA conducts yearly inspections.